Perfect dark roasted coffee beans is an art form that must be perfected over many years. There are many important variables that must be considered when roasting coffee including origin, moisture content, age of the green (unroasted) coffee bean, and even the weather! Even the slightest mistake can ruin the flavor of the delicate beans. Roastmasters use sound, sight and smell to determine when the beans are roasted to perfection. Timing is everything. 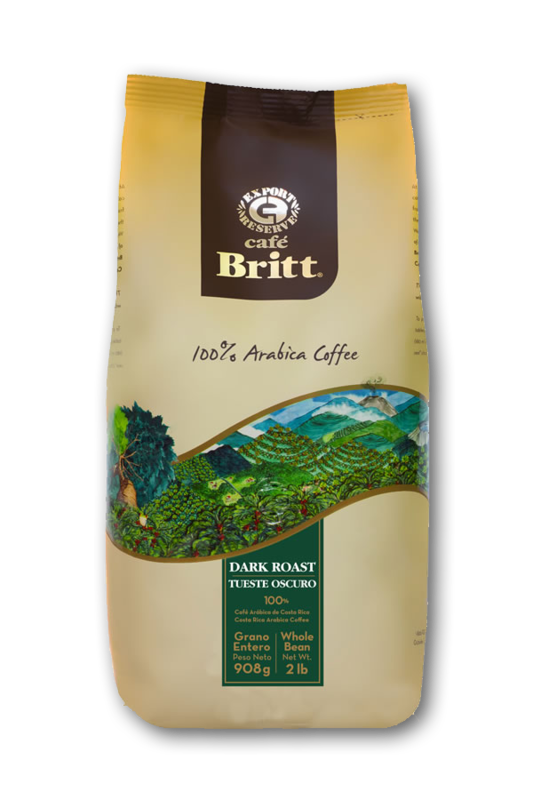 Café Britt Dark Roast embodies the tradition of gourmet Costa Rican coffee. Aged red wine, figs and dried fruits mellow its robust aroma. Its full-bodied flavour of strong coffee and dark chocolate makes for an intense taste sensation. This classic blend takes its leave with distinction and elegance. 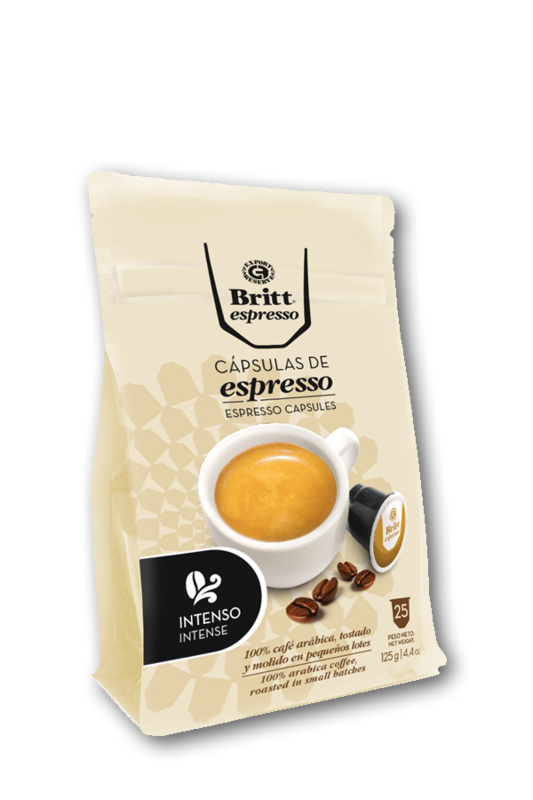 Britt’s Costa Rican Dark Roast coffee capsule pods is the reason the why world loves Costa Rican coffee – its taste is as enticing as its aroma. Our experts select the beans for this classic blend from different parts of the Central Valley, where a combination of climate and soil produce the world’s best coffees. The Central Valley’s high altitude causes the beans to mature more slowly. This makes them harder and less porous. Hard-bean coffees have higher acidity — a quality that brings out the coffee’s greatest aromatic features. Hard beans also stand up well to a darker roast. Shop all Cafe Britt coffee pods here.